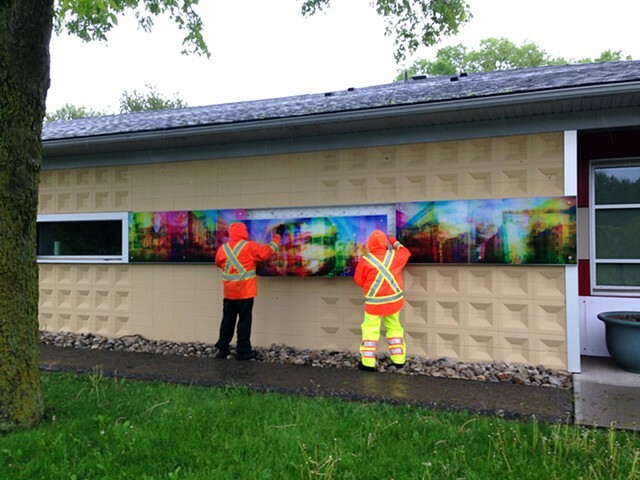 Permanent public installation commissioned by the City of Kitchener. Location: Bridgeport Community Centre. 20 Tyson Dr, Kitchener, Ontario, Canada. Illuminated light panel. Layered photographs from 120mm negatives on transparent vinyl. Back-lit by outdoor LED plexiglass panels installed in the side of the building in a custom light panel.